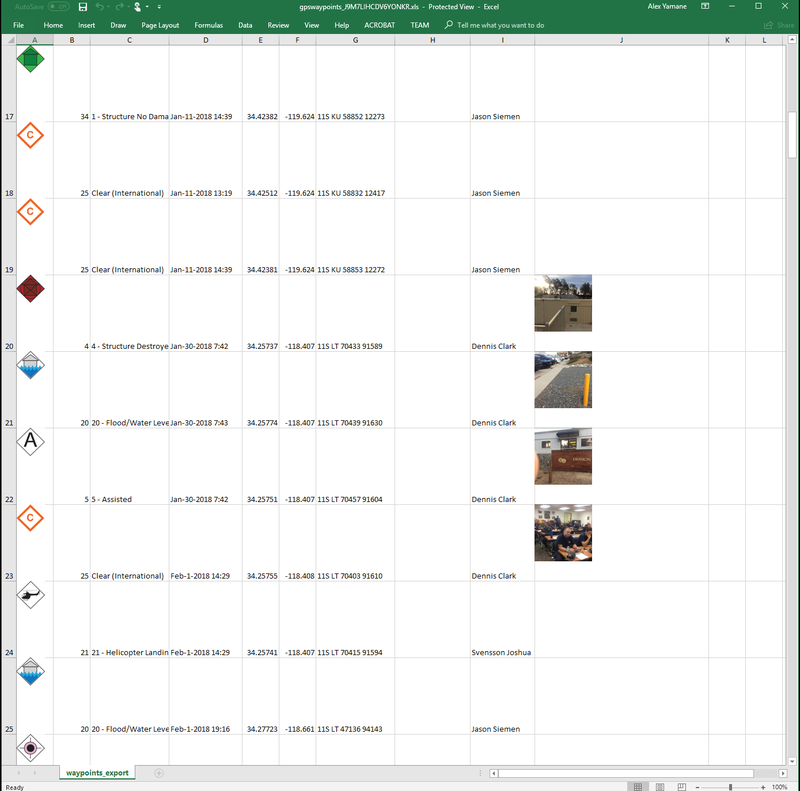 Sector Assessment Forms (Team management website) - Disaster Surveyor Systems, Inc. 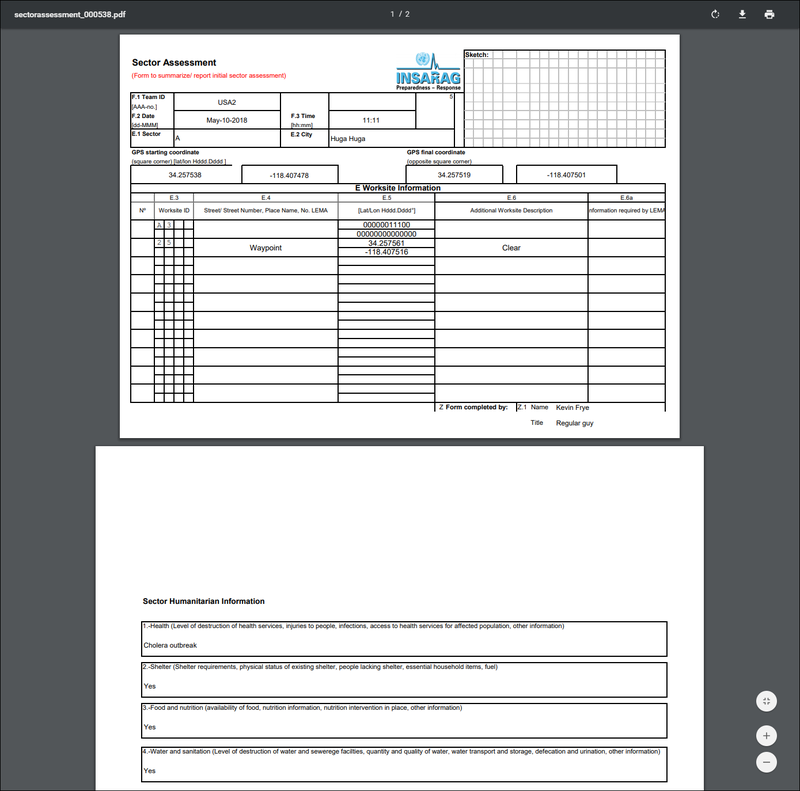 The commander edition website displays all team member sector assessment forms at a glance in a list, and displays a count of any attached sector assessment forms and waypoint markers. 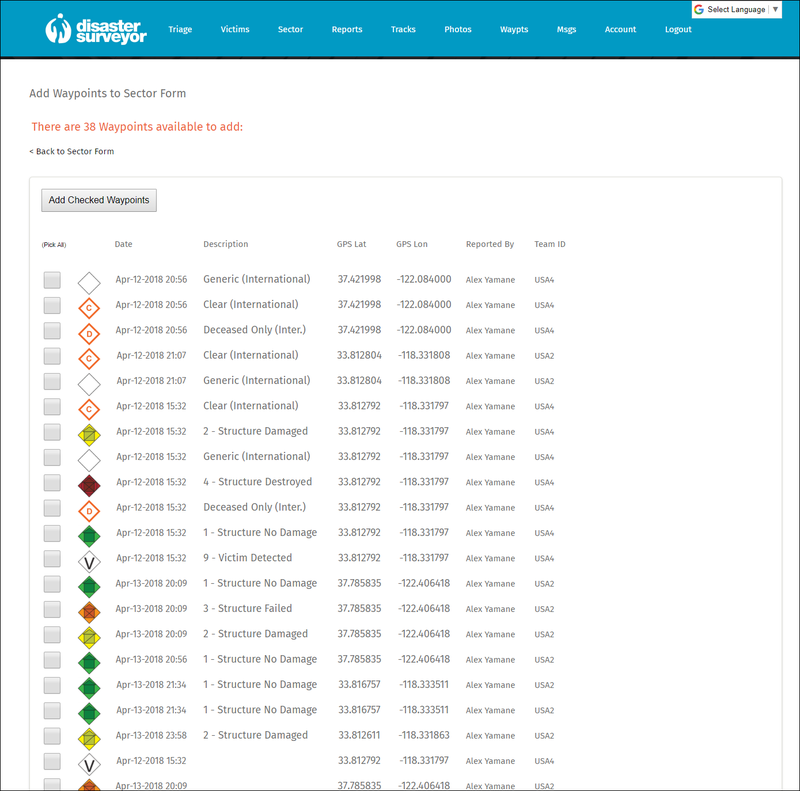 A list of all worksite triage forms and any waypoint markers associated to the sector form can also be viewed, and displayed on a map with any associated icons and photos. 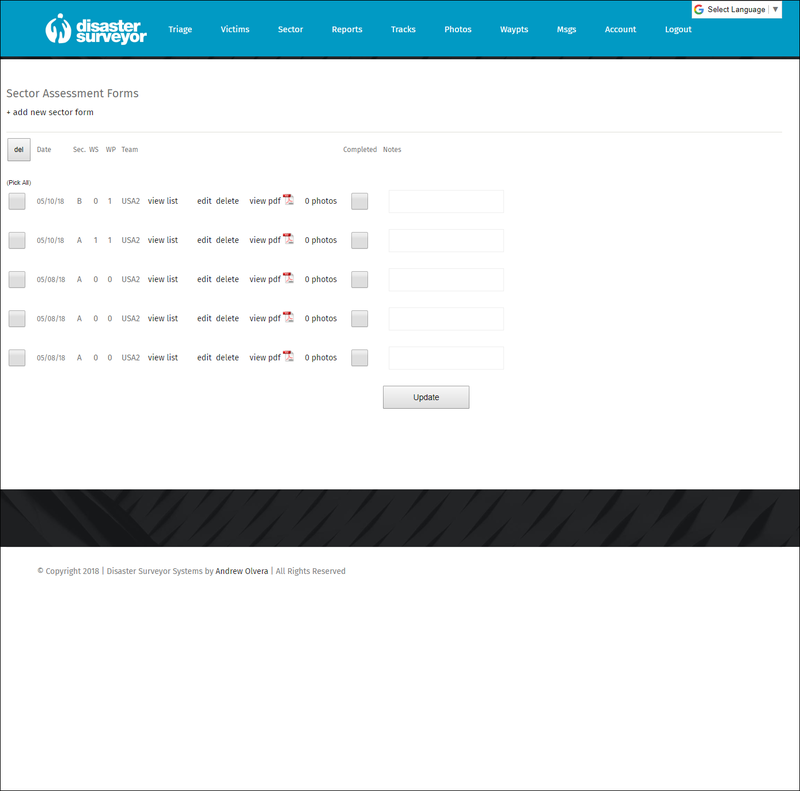 Clicking a link allows sharing of a pdf version of the sector assessment form. 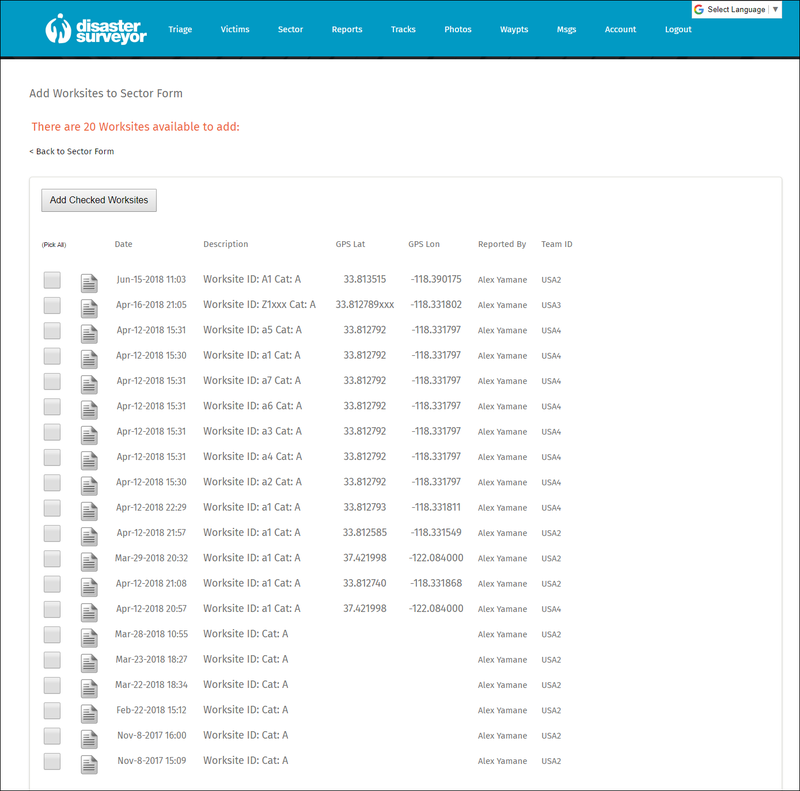 These pdf URL links can be quickly shared with 3rd parties outside of the system. 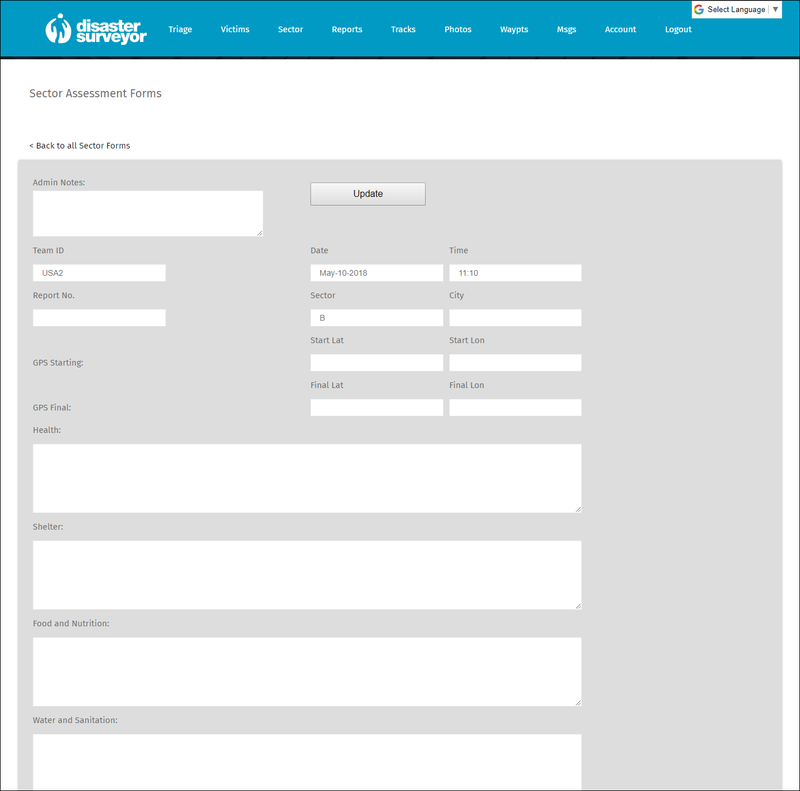 Because Disaster Surveyor is built with the boots on the ground first, commanders can edit and/or delete victim forms on the website, and ask a rescue worker to re-upload their sector forms without affecting the copy on the mobile device for that user. 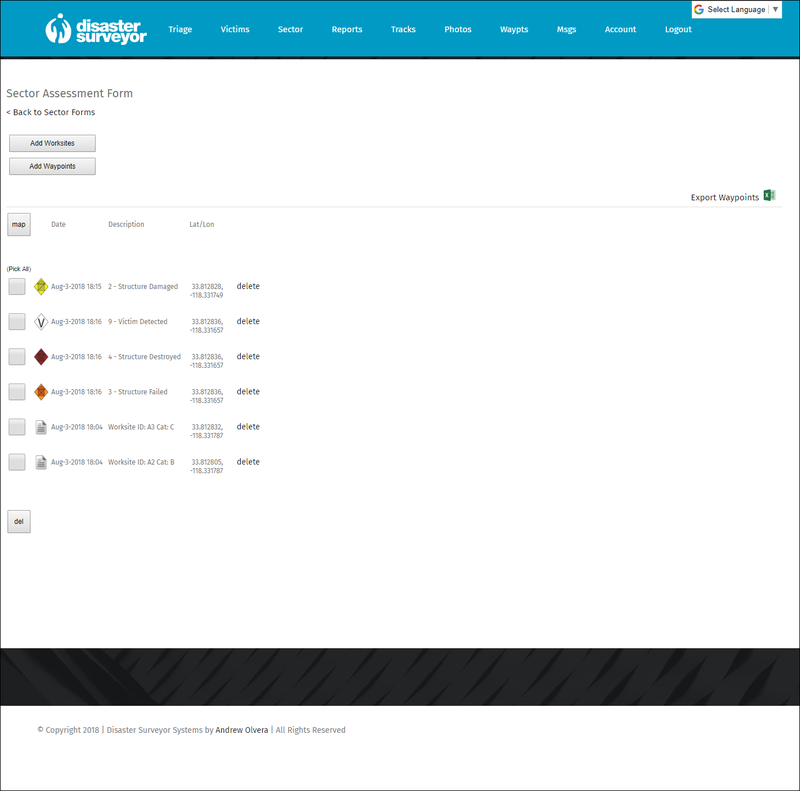 Only sector forms for users selected for display in the operation (in the “Account” settings) are displayed for management.